Voluntary Service Overseas (VSO) is the world’s leading independent international development organisation that works through volunteers to fight poverty in developing countries. Our high-impact approach brings people together to share skills, build capabilities, promote international understanding and action to change lives and make the world a fairer place. 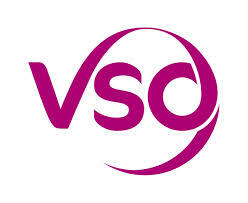 VSO Nigeria is looking to recruit 4 young experienced, skilled and efficient Project Officers to provide programmatic and administrative support to the ICS Programme. This position will be based in Lagos, Kwara, Osun and Abuja. Each PO will report to the Youth Programmes Officer in-charge of each location. The persons will be responsible for volunteer support, facilitation, relationship management and partnership working, programme development support, reporting, monitoring and evaluation, and budget management specific to the ICS programme. With considerable experience of working with young people in an international development context, the Project Officer will be responsible for supporting a pair of volunteer Team Leaders (TL) to provide pastoral support to a team of UK & In-Country volunteers, and facilitate learning for TL and volunteers during their placements. Experience of managing budgets and undertaking accounting procedures. Experience of working with volunteers to understand the key factors which make volunteer placements viable, effective and rewarding. Experience of designing and evaluating youth programmes in an international context. Experience of using monitoring and evaluation tools and processes. Proven experience of working with and providing support to 18-25 year olds from a wide range of backgrounds with proven ability to facilitate learning in a non-formal environment. Direct and substantial experience of working cross-culturally and able to communicate to a range of audiences and promote sharing and learning between cultures. Knowledge of issues which are common to communities in developing countries, possibly achieved through working or living in a developing country. Experience of promoting learning about development issues. Significant experience of working in a supervisory role. Proven ability to promote self-awareness, learning and development among individuals. Posted on July 25, 2014, in Africa, Career, Social Entrepreneurship and tagged #VacancyAlert: VSO Nigeria seeks Project Officers, independent international development, international development, Project Officer, Project Officers, Voluntary Service Overseas, Voluntary Service Overseas (VSO), volunteers, VSO, VSO Nigeria. Bookmark the permalink. Leave a comment.